Magnum Marine 25 Sport 25' Magnum Sport with twin 200 HP Mercruiser engines. 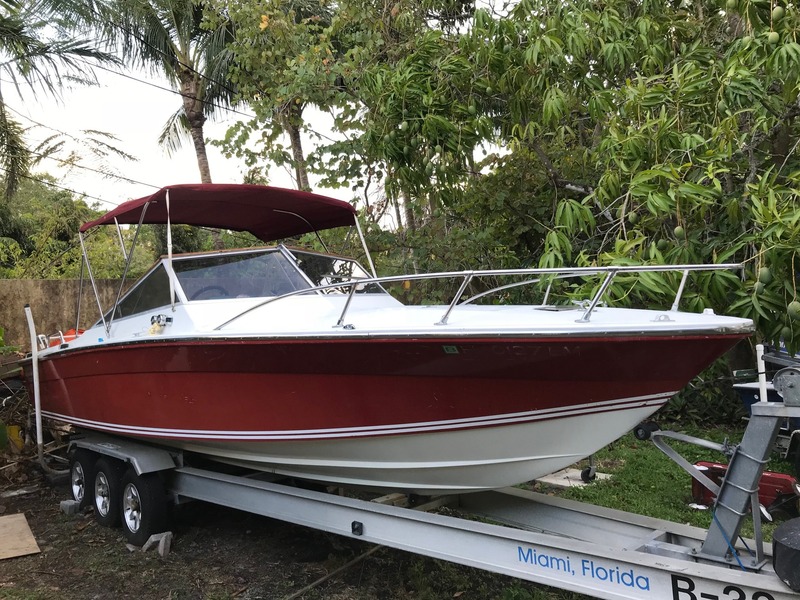 This is an exceptional boat and trailer combination for someone that's trying to get into boating with a sizable twin engine boat at an affordable price. Not to mention it's a boat with a prestigious brand and top designer that can be used on the bay or in the ocean. Boat was designed and build by Don Aronow. Handles rough water very well. 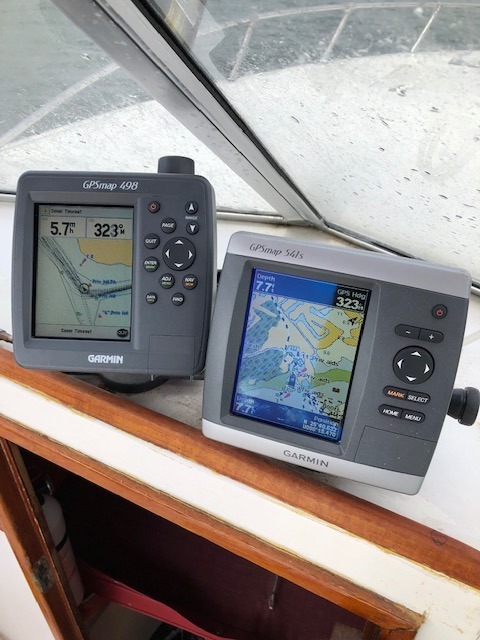 GM 292 L6 engine blocks with electronic ignition, 4 barrel carburetors Boat was last used on March 14, 2019 and the pictures of the boat in the water and the trailer with boat off the trailer and some others pics were taken that day. Boat/Trailer Combination Includes: Two GPS Units: Garmin GPSMap 541s GPS and Color Chart plotter and Depth Sounder Garmin GPSMap 498 GPS and Color Chart plotter Included in the price is a Float-On heavy duty aluminum triple axel trailer with oversized main rails for long distance hauling and new aluminum wheels and tires. Aluminum bunks. (Not lower quality wooden bunks.). Boat fits perfectly on this trailer but the trailer can actually handle a longer and much heavier boat than this one as it was originally used to haul an offshore race boat around the country. The trailer is great for local hauling but for distance, trailer brakes need serviced. Porta Potty Life jackets Ropes Custom Anchor and bow anchor compartment installed by Magnum and anchor line Condition Engines are in good shape and not in need of overhaul or major maintenance. Outdrives are fine with very low hours since new. 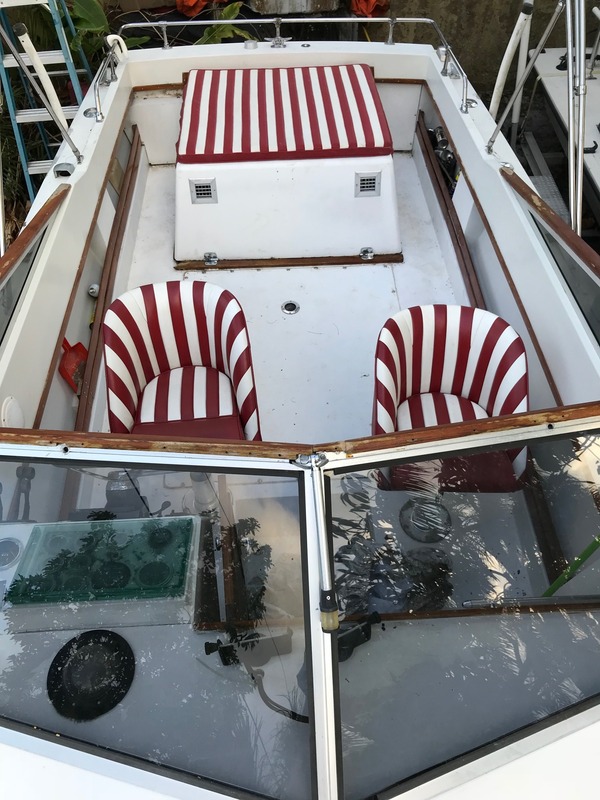 Throttles work very smoothly and are fine, starboard shift works fine, port shift is stiff and works just ok. Boat needs some TLC and cosmetically the boat has original paint from Magnum and needs to be refreshed. Cabin is in good condition as are interior cushions, V births (sleeps someone over 6 feet 4 inches tall comfortably). Porta Potty included. AM.FM Stereo system. Call Mike at 305-321-1139 or email at mwerner@miami.edu. If no answer, please leave a message.